Thank you for your interest In our GroundSchool EASA exam preparation apps. We think that you're making a smart choice: our EASA test prep apps feature extensive question databases which closely mimic the real thing and a superior user experience at a very competitive price. When you get our apps, you get them for life - this is not a short term, ultimately very expensive subscription like our competitors offer. 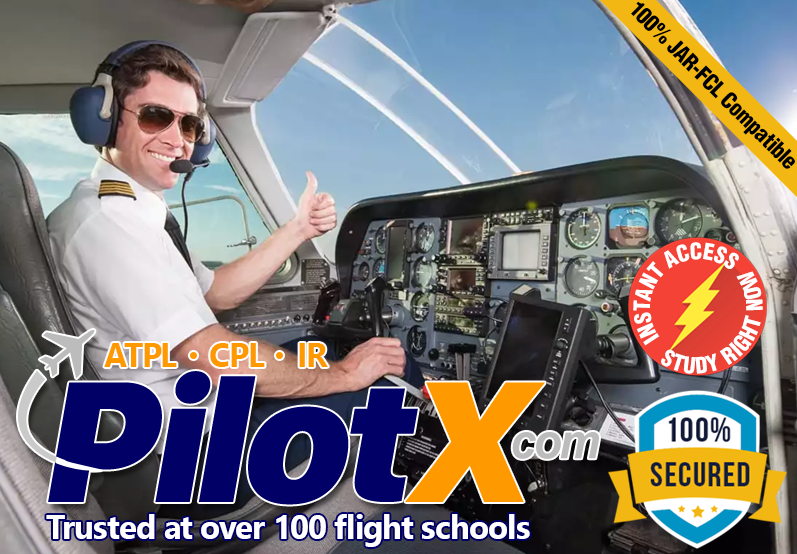 When used in conjunction with your flight school's classroom program or your textbook study, you can join the tens of thousands of happy pilots who have passed their exams with the help of our apps. For iPhone/iPad and/or Android: The apps are purhased the via the official Apple/Google app stores. Click the links above to get to the app store / google play pages. For Microsoft Windows PCs: Our GroundSchool EASA apps for Microsoft Windows PCs are sold on a "try before you buy" basis. This means that you are free to download the software from our website, install it on your PC, and try it out. Before you register (purchase) it, however, the software will be locked in a demo mode in which only 5% of the questions are available. This will be enough to let you get a feel for the software, but not enough to actually prepare you in any serious way for your exams. To unlock the rest of the content, you come here to this page and complete the order process. When your payment has been made, an unlock keycode will be sent to you via e-mail. You enter this unlock keycode into the software to unlock the full content the test banks of your choice. You can purchase unlock codes for individual tests, but by far the best price can be had by purchasing all 10 tests at the same time. Thank you for your understanding that due to the nature of the electronic sales process and because the software is available on a try before you buy basis, once the purchase has been made, it is not reversible. Unlike other EASA preparation providers, we do not limit you to some arbitrary "6 month" or "12 month" access. Rather, we state that your purchase is, in essence, good for life. Furthermore, we allow you to update the software to the newest available version, FREE, at any time. This is of course not a guarantee that 100 years from now we will still be updating the software, but it does say that whenever we do, you will have access to it. To wit, we have users who have been using our GroundSchool FAA (USA) software for more than a decade now with free updates since their original purchase. However, there is a catch: when you purchase this software, it is for your own, personal use only. You may NOT share this with friends, coworkers, etc. Please direct such people to purchase their own copy! We hope that you find this tradeoff to be fair - in exchange for free upgrades and no set time limit, you agree not to share this software inappropriately. Free upgrades means that in the future you can use this software to review or brush up. We list our items in US dollars to correspond to the underlying currency of our shop. However, you can see the price in your local curreny towards the end of the checkout process when you get to our merchant partner's shopping cart. No. The software is downloaded from our website (www.EASAExam.com) and installed on your PC directly. This allows us to get the most recent software to you efficiently, and it saves postage and manufacturing costs. Yes, the downloads can be large, but they are doable even on a dial-up connection if you have a little patience. Most of us have access to high-speed internet through which the downloads should generally take a few minutes at the most. Sorry, we do not have CD-ROMs to send you in any circumstance. There's just virtually no demand for it and the hassle is huge. If I buy just one test now, can I get a credit towards buying the package of all the tests later? Sorry, no. This would be inefficient to administer and kind of defeat the whole purpose of offering the 10 in an extremely value priced bundle. The total number of questions varies as question banks change. Basically, all serious EASA test preparation providers (including ours) offer a hefty test bank of questions which is (at the time of this writing) around 15,000 questions. As we and the relevant authorities change their questions, this number is likely to vary a bit. Basically, we have the same number or more questions as any other serious training or preparation provider, and our full-time staff uses the same methods of updating our banks as major flight schools and test prep providers. Don't panic if some provider claims an extra few hundred questions more than some other - it's likely in such cases that the provider is simply not removing some expired or outdated questions from their banks in order to artificially inflate the numbers. Please note also that in our preparation for answering this question, we've seen a few (amateur) products that seem to offer a total of less than 2000 questions that nevertheless claim to be complete JAA/EASA IR(A) (Instrument Rating - Airplane) question banks. We have absolutely no idea what such offerings are, but there is no possible way that they can be anything approaching comprehensive. More to the point, if you're serious about passing your exams, you may have been looking a few sites. Some might offer website-based study. If you try their demos, you will see that websites have relatively slow response times. A second here, three seconds there doesn't sound like much - until you add it all up, and you find that our software, with its responsive, highly customizable interface will save you hours, if not days, over the course of your training. Again, don't take our word for it - if you haven't already, try our demo and see.